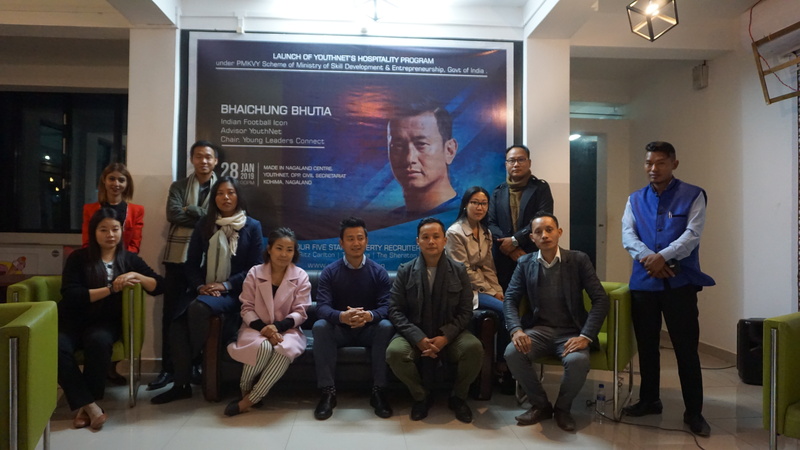 Former Indian football captain and advisor to YouthNet Mr. Bhaichung Bhutia officially launched the YouthNet’s Hospitality Programme, a 100% Job Guaranteed Training and Employment Program fully sponsored by PMKVY Scheme of Ministry of Skill Development & Entrepreneurship, Govt of India; on 28 January 2019, at the Made in Nagaland Centre Kohima. 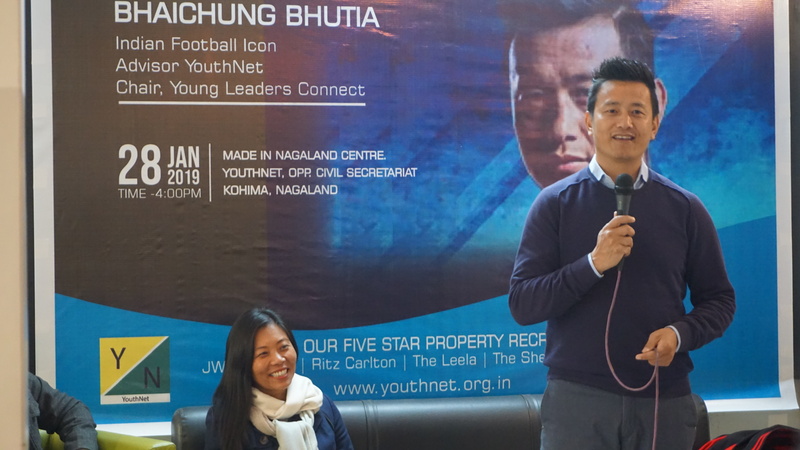 Bhutia has always been very keen towards youth upliftment in the country. 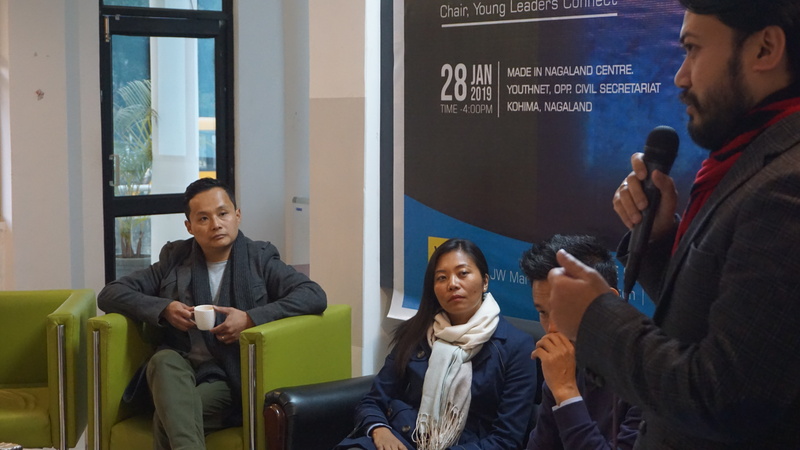 Joining Ms. Hekani Jakhalu (Founder, Chair-YouthNet) and Mr. Lezo Putsure (Director-YouthNet), speaking on the occasion, he stressed on the importance of pursuing things that we are really passionate on, to develop endurance particularly also highlighting his initial struggles and challenges as a young footballer from the North East. Speaking on hospitality, Bhutia highlighted the potential of hospitality not only in hotels but also sport industry. He also mentioned about his wife who underwent Hotel Management training and subsequently working in reputed five star properties. Bhutia’s visit to Kohima was accompanied by Kishore Taid, Co-Founder & CEO, Bhaichung Bhutia Football Schools, who encouraged the young people who came for the launching program to be passionate and also gave a brief highlight about the school and how they aims at identifying the young talents and provide the right platform for them.